The Robinson family and Don managed to meet each other back at the chariot just in time to see the stranger’s space ship blast off in the distance. Penny and Will explained that it was an old space explorer and that he would be carrying a message back to earth about them. 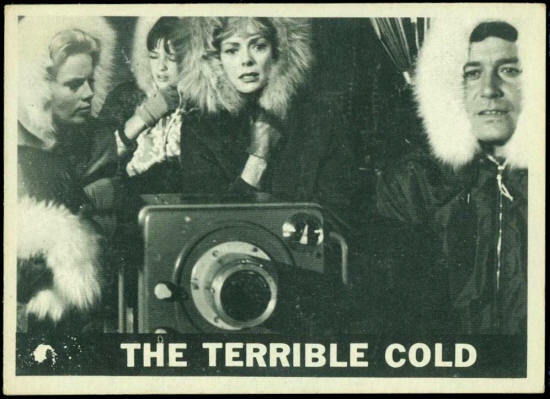 But in the midst of the good news, Maureen felt a terrible cold setting down over them. 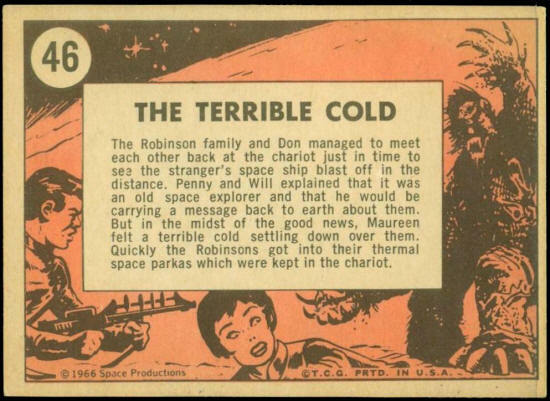 Quickly the Robinsons got into their thermal space parkas which were kept in the chariot.